Let's all take a moment to thank Quentin Tarantino for Inglourious Basterds and the sensational foreign actors he's managed to bring into Hollywood's spotlight through it, like Michael Fassbender, Christoph Waltz, Diane Kruger, Melanie Laurent, and Daniel Brühl. Since Inglourious Basterds debuted, the Barcelona born Brühl has been popping up in a slew of American movies from the horror-thriller Intruders, to the cheeky indie sequel 2 Days In New York, and to a double dose of docudramas with Rush and The Fifth Estate. Fitting then that he's now in talks for Woman in Gold, another drama that has found its inspiration in real life. Deadline reports Brühl has entered into negotiations to co-star in The Weinstein Company's Woman In Gold, which will be directed by My Week With Marilyn helmer Simon Curtis. Should he sign on, Brühl would join a cast that includes Ryan Reynolds and Helen Mirren. The script by actress-turned-screenwriter Alexi Kaye Campbell was inspired by the life of Maria Altmann, a Jewish refugee from Nazi-occupied Austria. 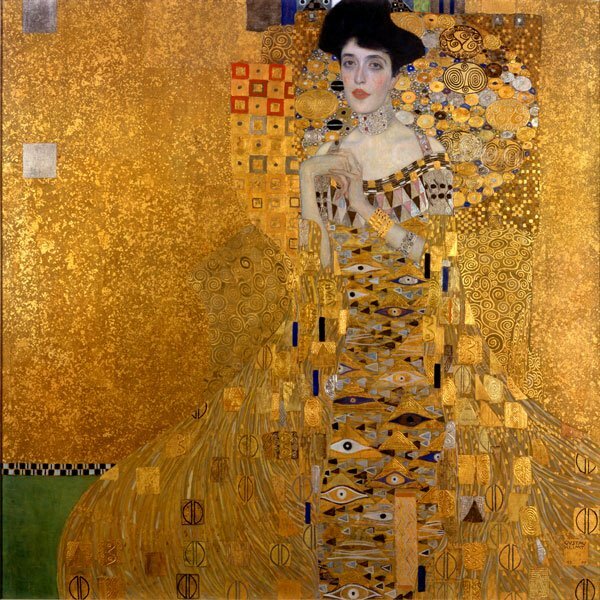 While her escape from the clutches of Adolf Hitler's Third Reich may make for a suspenseful movie on its own, this holocaust survivor's true claim to fame is how she reclaimed her family's collection of Gustav Klimt paintings, which had been stolen by the Nazis during World War II. Her legal battle to regain these works will be the focus of Woman In Gold. The title itself likely refers to Klimt's 1907 painting Adele Bloch-Bauer I, a family portrait of sorts. Bloch-Bauer was Altmann's aunt. Mirren will front the film as Altmann. Reynolds will play her lawyer, who took on her case despite having little to no background in art. For his part, Brühl will bring his mesmerizing sense of menace to the role of their adversary, a lawyer defending the Austrian government's claim to the paintings. This is an intriguing production. Mirren is always a captivating leading lady. Reynolds seems to work best as a supporting star (The Proposal, Safe House), instead of a leading man (Green Lantern, R.I.P.D.). And we can anticipate Brühl will bring heat to the role of their legal rival. The behind the screen players here are more the film's wild cards. Campbell hasn't yet had a screenplay produced. And though My Week With Marilyn received critical praise, it was a feature that traded heavily in nostalgia. This method is less likely to work with the paintings of Klimt, which are beautiful, but don't hold the pop culture cachet of all things Monroe. So Curtis has a challenge ahead of him. Woman In Gold is expected to roll into production this May. We expect to hear more casting announcements from TWC very soon.